"Ease of database as a service"
"Amazon aurora is a fast and reliable database"
This software allows you to create high-end commercial databases in a very simple way. The best thing about Amazon Aurora is that it is fully compatible with MySQL and PostgreSQL, so MySQL applications and tools can be run without any problem. In addition, it offers high availability and performance. On the other hand, the storage of this software is completely error tolerant and the information is automatically recovered. Another advantage of Amazon Aurora is that it is designed to detect automatically and very efficiently the existing locks in the databases and restarts without the need to generate repairs. One of its disadvantages is that it can be somewhat expensive for a company whose database is small. Its use and implementation can be a bit complex so it requires a prior time to learn how to manage the software. Amazon Aurora is highly recommended for those companies that require database software with high performance, capacity and availability. Amazon Aurora has allowed me to create databases in a short time. This software scales the storage quickly, which has allowed me to efficiently increase the storage capacity and balance the E/S to offer a better performance. "Ideal choice for Cloud based Relational Database Management especially for MySQL Backed Applications"
We started using Amazon Aurora around a year ago and implemented into one of our live medium sized projects on client's demand. After completely moving the application from offline MySQL database to cloud we seriously noticed a great improvement in speed. Also very additional features are services are provided which we were doing own our own and now Amazon Aurora DB instance is handling everything. Now the focus if completely on application development and least on database infrastructure . We must say if the application database is MySQL then Amazon Aurora would be the best choice in term of Cloud RDBMS. Also in terms of pricing it is very convenient and affordable. You will be charged for what service you are using. These are many packages available according to your project size and scope. If the project is basic and small you may opt for small DB instance on very reasonable cost. Only one thing still we feel is not up to mark in Amazon Aurora is the old MySQL version i.e 5.7. Amazon Aurora is ideal choice for MySQL backed applications. Use it if you want a solid cloud based RDBMS. The user community on internet is also available from which you can get help and support. We have some clients which are running web projects using Amazon Aurora cloud database without any problem in speed and performance. The integration into application is easy and with very well organised documentation. "Great Way to Manage Databases"
One thing I like about Amazon Auora is the amount of databases you can manage with this centralized service. Amazon Auora is great when you have many databases to organize; and Amazon Auora is a great way to create a centralized way to manage your databases. Especially if a lot of your data is coming from AWS Cloud. If you are an Amazon user this is a must use tool. Something I do not like about Amazon Auora is the pricing is steep. Once you start stacking your databases and managing many clusters; the pricing can be very steep. Although the speed of the service is unlike any other product, the cost is high. But you get good quality for the amount that you are paying. 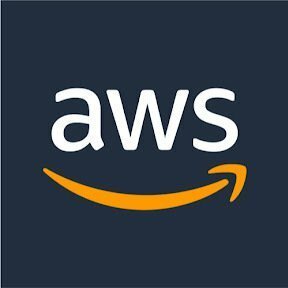 Use Amazon Auora if you are using other Amazon products such as AWS. This is a great product to use along side many of the other products Amazon offers. Because of the ease of implementation, your databases can be managed within a couple of hours of setting everything up. I have many databases that I manage; and Amazon Auora is a great way to manage many of these databases. There is no tool out there that really competes with the product that Amazon Auora gives to its users. When you have many databases to manage, with the use of AWS cloud, this tool is very easy and simple to implement. Amazon Aurora is used by my organization to host my SQL servers on the back-end. It has improved performance and is highly usable. The technology behind the scenes is super cool, but the most important thing is that the improvements in speed and costs over traditional DBs are amazing. The cost of this product is a bit high. In addition, Amazon Aurora's ability to restore backups should be improved. Users must be able to select a database to restore. So far I have not found any relevant factor that generates any other negative criticism. If you want to fly with the services of the database and need more power in the database, you must adopt Aurora. Use it now. Do not mess with your own instances of DB. It is the correct address. This product has been really reliable in the ability of people to access information in a secure manner. It allows one to perform better in its current state than it would with higher-priced systems. We are saving a lot of time and effort compared to the previous database. The most important thing we are saving is $$$, because before IBM and Oracle used to charge a lot for a single operation, but this is much more viable, robust and faster. "Concentrate on software, not on infrastructure"
Easy to work, trustworthy, accountable, durable and powerful. Two variants (PostgreSQL or MySQL) come with this product. Automatically scale SSD storage of up to 50 TB does not mean you need to worry about resizing database storage (= fully managed hardware). It uses SSL to secure the data not only at endpoints but also via the transmission layer. Data can be stored in Germany. Prices are somewhat costly if you are a new business or a startup with little data to store. No multi-master features are yet available to Aurora Postgres. There is some confusion about the cost structure. It is really secured only EC2 and in a very fast it can be costly. It is hard to optimize memory use, but upscaling can be easily solve this problem. It is cheaper storing data outise the EU. It is effective. The assistance you receive when migrating from another service is good. When using AWS... it is easy to switch to a relational database. Performance and scalability are outstanding. Our on-prem software has all been moved to Aurora and endpoint management which simplifies our processes and code considerably. I was looking for a managed database. Used for high capacity and high velocity data collection and recovery. You can be assured that your replica never fails and continues, even if it crashes. "Great performance and easy development"
Amazon Aurora is used by my organization to host my SQL servers in the back end.. It has improved the performance and highly usable. Customer needed a database accessible from everywhere with high availability, fast, always up to date and scalable. I loved the way it functions and easy for a developer to write any hard codes. The cost compared to MySQL of reliability higher. And the thing I don't like is there is no way to run a development database in Monday storage for tests and development. Other then that I like everything. It provides frequent updates which makes the database started always up to date on latest features and security practices. Replication world flawlessly due to added security measures. auto-everything, 1-click, faster, and cheaper!!! I mean really....compare to 10 years ago - SqlServer & Oracle dominating, taking $$$$, people to manage everything, nobody really with good DR/BU (esoteric, hard work)....or of course MySql and Postgres but no corp would allow use of it. Now, all the stuff you got from those paid guys, and so much more (the stuff that everyone should have done but didn't) - Aurora is the answer. Still at least a little complicated, picking the right size of things, or config. Some limits on the Postgres side. It's good that it "feels like a regular db", but there are various things that wouldn't hurt to be a little simpler for simpler cases. TOns and tons. Relational persistence....with scaling and good DR/BU. Saved a lot of money. Got a lot more for our $. "One of the biggest deals in databases in a long time"
The tech behind the scenes is super cool, but more importantly the speed and cost improvements over traditional DBs are amazing. The biggest issue is one that is unlikely to be addressed by the service itself: MS SQL support. Coming from a market heavy in MS SQL Server, it can be hard to convince clients to give something like Postgres a try, even though when coupled with Aurora it could save them money and increase performance. If you're switching from standard MySQL or Postgres, it is very easy to at least give Aurora a test drive and see if it can improve performance and save money over your traditional setup. We're using Aurora to either replace some expensive standard DBs or to remove some of the management overhead of existing DBs thanks to things like storage scaling and the ease of scaling and replica deployment. "The best database management "
The software provides recurrent and automated upgrades, and this makes our organization’s database system to be current with the latest features. Also, because the software uses MySQL as its basic database, it is very easy to discover focused people to work. Amazon Aurora has a social database management system and this makes it easy to develop and create new databases. The cost of this product is a little bit high. Also, the ability of Amazon Aurora in restoring backups should be improved. The users should be allowed to select a database to restore. I would recommend Amazon Aurora to anyone in need of a fast and reliable database management. Despite the higher price of this software, its performance and scalability is excellent. It is a very dependable software and has worked really well for us. Our customers needed a database that can be reached from any place, easily available, and always up to date. Amazon Aurora turned out to be the best solution and this has helped us grow our business. Aurora comes in two flavors - PostgreSQL or MySQL, so you can pick the relational database that's best for your needs. Auto-scaling SSD Storage currently up to 64TB as well means never having to worry about resizing the database storage. Aurora is both vertically (instance size) and horizontally (# of nodes) scalable - however, it should be noted that when adding additional nodes to the cluster, they are read-only. All Insert/Update/Delete operations will still be handled on the master node. The ability to provision multiple writer nodes would be amazing. High-Availability - while the standard RDS services can provide read-only replicas to offload reporting, Aurora provides a cluster endpoint. In the event of master node failure, a read-replica will be automatically promoted to the new master node. Clients performing R/W operations using the cluster endpoint do not need to be updated. Its very highly available and durable, very secure using SSL, provide very high level of performance, good thing to support mySQL and Postgress DB. We can create and test difference database warehouse technology without having to know much about the installation and configuration of the same. Which is a huge plus if we are not a trained DBA for each different database technology. It can be more expensive for starting company because we have a dedicated instance for your database, and it isn't running on our application server. But depending on the size of the instance we might be eligible for a free tier of usage for the first year but later to pay more money to keep continue. When RDS started to use EC2 Security Groups instead of the RDS security groups it originally used to manage access, this was further complicated when VPC became a requirement for EC2 Security Groups. its worth to use it and best value for long term solution to manage data secure. In terms of Data security, this is best solution to use, and then best for measure of performance to perform db operation. "Amazon Aurora synchronizes speed, security and reliability in a single package." It is very efficient since its speed is substantially higher than the standard PostgreSQL and MySQL databases and consequently this generates performance to any company or industry; It also provides a good margin of safety and reliability as much as or greater than commercial databases. Until now I haven't found any factor of relevance that generates any negative criticism. If you require a backup and security guarantee for large volumes of data and relevant information synchronized with the use of the cloud then Amazon Aurora is without a doubt the best option in the market. The greatest benefit of my business area as a consultant has to do with witnessing the large number of companies and executives who have resolved their need to support data movement and transfer of information safely and quickly. One of the best features of this database is that it has the accessibility of top of the line business databases, and it also is used with the effortlessness and pricing-viability options that other open source databases may have. One disadvantage is that there is no change buffering. But also, writers could experience region network latency, like PXC, while there are also limitations to be said in regard to isolation level. Something else that could be said about this produce is that space usage does not necessarily decrease. It is a great product if you are looking for a program/systemic entity that features a high performance and the ability to scale. One main feature that I personally liked is the ability of self-healing storage that moves data through multiple places. This product has been really reliable in the ability for individuals to access information in a secure way. It allows for one to perform better in its current state than it would with higher priced systems. A major benefit that has been realized is that it is fully managed. This is a nice feature especially with hardware provisioning. "Amazon Aurora in a nutshell is "simplicity""
There are a lot of things that I like about Amazon Aurora, but I would have to say the best feature if I had to choose out of the many would be being fully managed hardware. There is not much I can say that I dislike. If I had to choose it would be if someone wanted to know more about the underlying system specs and source code. Business problems we are solving are that getting rid of old on site managed mysql databases to more fully managed mysql aurora databases. It allows those able to have a higher performance and higher reliability than on site. Without having to worry about any of the systems requirements such as patching the system. "It is an excellent tool to count on." It has been a great user experience in terms of its interface, in terms of performance go that has met the requirements, fully productive and effective. It always performs with a high performance and makes all the goals are fulfilled. I highly recommend it, it is a necessity to have software that manages everything related to the database very well and this is the right product for it, you will not be disappointed! It is an essential product for database management, which is why it was implemented in our company and without any doubt it was able to carry out this section without any problem and with a total effectiveness. Amazon Aurora allows simple and easy instantiation of a database instance with a few text boxes and clicks. It allows advanced features such as availability zone distribution, automated minor version upgrades, and AWS security group integration. I'm still having trouble with diagnosing and troubleshooting issues in detail. It would help if there were aggregated log dashboards as they have with metric dashboards. I'm using Amazon Aurora to manage data from development levels to pre production, with overall ease. "Started working with Aurora this year"
Serverless nature, no need to patch. Always up and I can focus purley on application development. I also like the ease by which we can create/manage instances. Do not need to rely on dba team. At first there was not BYK support, but that was added relatively quickly. That is was the only downside that we encountered. I would like a better UI on the AWS console so that I can better visulize all our instances. MIgrate away from oracle database. Reduce our downtime/maintenancen. We also need to have a dev environment where we are not constrained by how many databases we can use, which we are limited by how many we can. "cost effective faster relational database"
Support for the database could be a little bit better and smooth. We have a MySQL and PostgreSQL-compatible Relational database configured in this. Time consuming tasks are automated here in this Amazon Aurora in our environment. "Quite Expensive, but Secure. " The software is quite reliable in terms security and efficiency. Again, the vendor keeps the the users very happy and updated. Furthermore, the software from Amazon is lightweight and easy to customize. I think the cost of this application is not bearable, more so to the poor in terms of resources. Some mechanisms should be employed to lower the entire cost. Amazon products are always reliable. Have enough capital and come for them. We wanted to have a secure database, where all our information is free from attacks, but accible to all of us who are authorized. The software did exactly that. "Revolution in Relational Database "
The best feature about this software is easy scalability and data protection. It makes use of SSL which makes the data more secure not only on end points but through the transfer layer ad well. If you were using MySql database earlier, it would be very easy for you to move to this DB. The failover protection is excellent amongst different nodes and instances. The pricing is a little steep if you are a startup or a new company which doesn't have a lot of data to store. I would like the database recovery aspect to be worked on by the tech team on Amazon end. We are saving a lot of time and effort as compared to the previous database. The most important thing that we are saving is $$$, because earlier IBM and Oracle used to charge very heavily for even a single operation which was performed but this is much viable, robust and faster too. As for all amazon products the product is almost perfect, The cost can often be quite expensive compared to utilising existing infrastructure in house. having a Scaleable Mysql DB in the could. "Great Relational DB for MySQL applications in AWS environments"
No need to provision storage or scale - Aurora will scale automatically to meet your needs, so it's great for applications that grow unpredictably or simply if you want low-maintenance. The underlying storage is spread across multiple zones (physical locations) for redundancy and reliability. Only supports certain versions of MySQL. Some very new or very old versions may not be supported. Check at the time of implementation to confirm compatibility with your application. Very easy to deploy, fast and reliable, but it's likely that you may want to use RDS if you require a larger feature set. Simple deployment for MySQL applications such as webservers and similar apps. "Great for an established business"
Amazon is difficult to use. The setup was confusing and it was difficult to publish products. The monthly fee to be able to continuously sell products is high. I used Amazon to showcase some products attached to my Shopify store. I stopped using it temporarily because of the difficulty to use and the monthly fee. I will be using it again in the future, but it was not worth the effort at the time being. The benefit is that it will attract more customers to the products and eventually to the website. "My IT guy has been raving since he implemented!" While I don't know as much technically speaking about the product, I'm aware of the positive impact it's made as our business scales and grows. Our IT guy used to be so unhappy and would always complain about his cloud based options but since this shift, he's been very pleasant and overall seems pleased. Plus,.from what I've heard operationally speaking -- it costs us les than our previous MS solution. 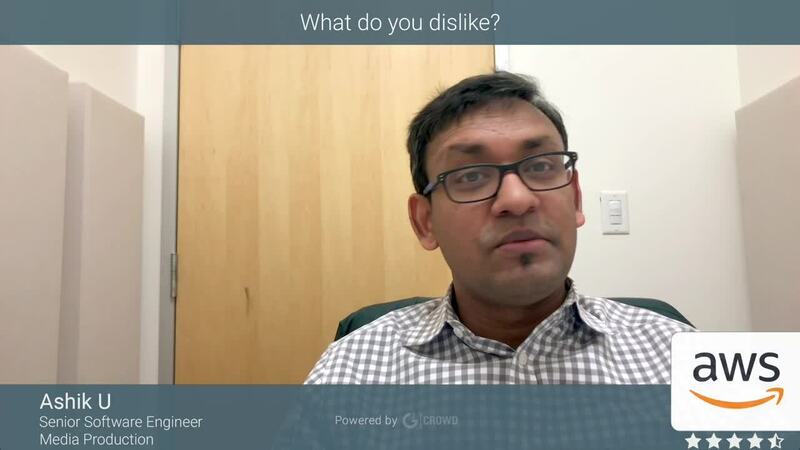 I don't really know if there are any dislikes, dis-satisfactions, or things that our IT team doesn't feel like they're getting from the previous solutions. Upgrading databases has been a major shift for us but it's been a positive one. Give it a try! With Amazon's name and support, you can't go wrong. They were looking to ensure our data was always avaiable, compliant, safe, and easy to access. So far, the product has exceeded their expectations. We don't want to be database experts, since our engineers' time could be better spent providing direct value to customers (internal and external). Aurora takes care of running the database for us, so that we can focus on bigger levers. Required maintenance windows can make for some short outages without a bit of work to work around them, and you still can't get the same depth of metrics that you can get from running your own MySQL cluster. Allowing service owners to spin up and operate their own databases without having to have a central team of DBAs managing bare instances with MySQL on them. "Despite some initial bumps, Aurora has been a fantastic upgrade from RDS MySQL"
I really like Performance Insights. It gives us great visibility into load and performance issues. It's an invaluable debugging tool. Our biggets issue has been hash joins. We turned on lab mode to get FastDDL and it also enabled 3 other features, one of which was hash joins, which tanked our performance on a certain, frequent query. To turn off hash joins you need the run "SET hash_join=off,hash_join_cost_based=off". Best way to do this is probably to set this in init_connect in your parameter group. We mainly moved to Aurora because one of our tables grew to 2TB and our existing RDS was on ext3 which has a hard file size limit of 2TB. We we're able to buy a few months by deleting unused indexes, but Aurora has helped us not worry about storage any more. "Perfect solution for fault tolerance on Cloud "
Cloud solution provide the capability to deal with huge data set along with computational capability. Fault tolerance feature is awesome in my environment that is helping us a lot. I am feeling my sql database is with new awatar in this Aurora version. IF you wan to fly with database services and need more power in Database you must adopt Aurora. Huge amount of the transnational data can deal with Aurora setup with high availability and best performance. "Great DB solution. It handles the server management for you!" I love that the service handles keeping the machines online so I can focus on the data. Using aurora means I don't have to worry if the servers are crashing on me or worry about the safety of my data. They handle all of that for me, all I have to do is interact with my data. I dislike that the IAM authentication does not work with Aurora serverless, and that the cloudformation for deploying aurora doesn't always keep up with the server features. Use it now. Don't mess with your own DB instances. It is the right direction. We keep our services online with no server management. We are able to focus on our core software and not this part of the infrastructure. The fast clone capability makes it very easy for me to utilize a production copy of the database as a replica for either development or a reporting node. Aurora postgres doesn't have multi-master capabilities yet. This will be a requirement for our business and I can't leverage our preferred database engine. It helps us implement microservices in a cost-effective way that is easy to manage. It allows us to also focus on performance and other items and less on the back-end infrastructure that used to take up a lot of time. The first time we tested using Aurora we migrated a MSSQL database using the migration tool. In less than 30 minutes the DB was migrated and up and running in Aurora. Running a DB at AWS for a cloud experience with failover capabilities. Only paying when queries are initiated, good savings. "Ease to use, managed service from AWS for rdbms usecases"
"One of the top DB contender "
It's based on Sql Relational database which is a big plus because it makes the migration to Aurora that much easier. You will have access to all the top features of a commercial database without paying the price of them. It's scales very easily based on your business needs. I won't say I disliked anything in this, but there is definitely scope for improvement in the master node and slave node working relationship. The data backup is somewhat problematic and complex. It keeps us updated with the latest trends in market because of its automatic updates which receives and installs automatically. We are not worried about procuring new servers and manpower because it could be scaled effortlessly. Aurora's backup strategy is fantastic. Using PostGRES on Aurora was easy, and I didn't have to put as much thought into what strategy I was going to use for backups. Just focus on software development. The cost structure is a bit confusing. Its really just EC2 backed, and can get costly in a hurry. If you are okay with IaaS, I'd say Aurora is a very workable RDS solution. Mostly just running our data sets. We migrated all our on-prem to aurora and the endpoint management has greatly simplified our processes and code. "I am the CTO on NextPakk and used Amazon Aurora DB"
Easy of use and management. Its very easy to setup, provision and manage. Cost. I feel it is costing us too much. Suggesting a config for our usage will be better I think. Consider the pricing and auto suggest configurations that are needed for client usages for optimal cost. I was looking for managed Database so that I don't have to spend time managing the DB. "Arurora allows us to scale in a secure manner"
Amazon Aurora makes scaling databases up, or out, trivial and fast. Moving several large databases from physical hardware with limited capabilities into a system that allows us to scale trivially and that also enables features that would have been cost or time prohibitive for us to implement outselves. The interface is really comfortable to use and I feel that Amazon Aurora really help my enterprise. For me the best is the interface and the relationship with the technical service when we have a problem. Normally, I find a little bit expensive the service of Aurora. I mean, the quality is really good but I think that they must find a more competitive prices in order to capture other enterprise without many money. Really helpful for my enterprise. I use Amazon Aurora to organise my databases and that's help me a lot to be more productive. It's great product so far. I don't have any issue with it.. I am not sure about the full backup or partial backup function. it's save relational database storage. It's redundant and scalable, efficent performance. I like that as a search engine it combines the speed and reliability of high-end commercial databases with the simplicity and profitability of open-source databases. Only having to make a separate record of the Amazon base refinery, the rest of the excellent engine. Its design allows managing workloads of databases at high speed, which optimizes working time. "Best alternative for traditional RDBMS"
The speed of migration because we can you similar SQL as MSSQL, option for serverless, and fantastic scaling. Its pretty easy to change your existing code to use Aurora instead of MSSQL. Nothing to dislike about Aurora at all. really simple to use but versatile DB Clustering clouds system. Compare to other systems i have professionally it is definitely one of the best systems going. I would say like All AWS services the cost is often the running factor for adoption in a business. Cost is much higher than other alternative providers. improve Data copies in a cluster during scheduled downtime of other volumes. "Security and Reliability of Commercial Databases at 1/10th Cost"
Amazon Aurora is a relational database engine from Amazon Web Services. The engine is compatible with MySQL, which means code, applications and drivers used in databases relying on MySQL can be used in Aurora with minimal or no changes. there is nothing to dislike in this product. Its space management is awesome. storing the files in the cloud which could be retrieved whenever business requirements arises. Aurora is fast and scalable, full MySQL support. Clustering is easy, and creating read replicas is also very simple. For the MySQL platform there is nothing I specifically dislike. Using for high capacity and high speed data ingestion and querying. Easy to implement additional clusters, replicas, cross-region backups, etc. Size scales easily without needing to add drive space. Large joins use the ram/storage of the instance itself and will sometimes fill up, causing the job to fail. Relation database for production web app. "MySQL with better performance and price: What's not to like?" I love the fact that Aurora has performance advantages over MySQL and I didn't have to learn anything new to be able to use my existing MySQL code. That's a win-win for me. I can't think of anything at all. Maybe a free tier? If you are already using MySQL (and who isn't? ), switching to Aurora seems like a no-brainer to me. I have my whole database infrastructure in the AWS cloud running with Aurora now. At this time, Aurora is working perfectly for us. We had an old MySQL server, which we migrated to Aurora. * We monitor all Amazon Aurora reviews to prevent fraudulent reviews and keep review quality high. We do not post reviews by company employees or direct competitors. Validated reviews require the user to submit a screenshot of the product containing their user ID, in order to verify a user is an actual user of the product. Hi there! Are you looking to implement a solution like Amazon Aurora?